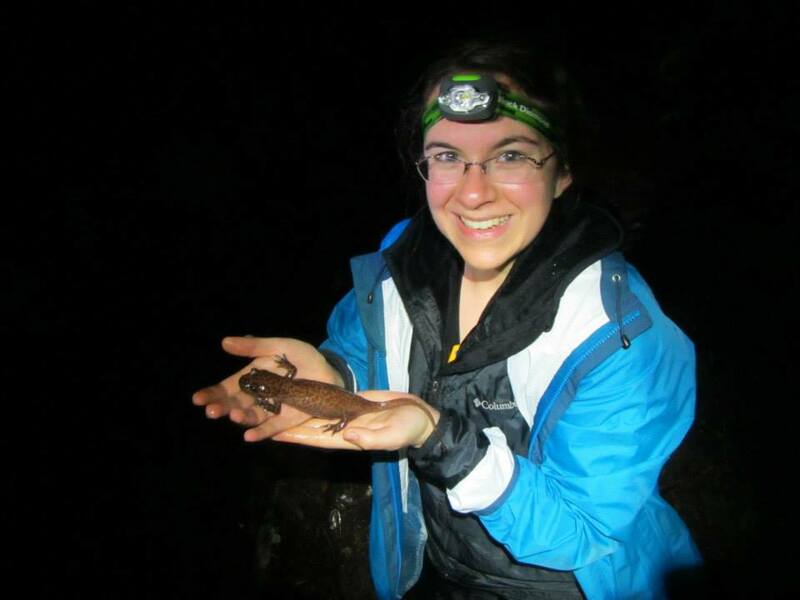 Sara ElShafie holding a Pacific Giant Salamander (Dicamptodon ensatus) in the Portola Redwoods State Park, CA. Congratulations to Curator Seth Finnegan who received a 2015 Packard Fellowship for Science and Engineering from the David and Lucile Packard Foundation. As one of just 18 Fellows named, the honor recognizes the nation's most innovative early-career scientists and engineers. Each Fellow receives a grant of $875,000 over five years to pursue their research. Seth is in his 4th year as an Assistant Professor in Integrative Biology. Lucy Chang won the 2015 Geological Society of America Geobiology and Geomicrobiology Division Best Student Oral Presentation award for her presentation at the GSA AnnualMeeting in Baltimore, MD. Sara ElShafie won the 2016 Ray Huey Award for Best Student Poster in the Division of Ecology and Evolution at the Annual Meeting of the Society for Integrative and Comparative Biologyat Portland, OR.